On June 28-30, 2017, Nutanix held its third annual .NEXT conference at the Gaylord National Resort & Convention Center near Washington, D.C. In this Insight, Neuralytix examines the announcements that Nutanix made, and its expected impact on the hyperconverged infrastructure (HCI) market. The announcement of Xi, a way of “delivering an integrated cloud environment with a range of cloud services that can be instantly provisioned and automatically configured”. The .NEXT conference was successful by all accounts. It attracted several high profile speakers including Bill McDermott, CEO of SAP. But ultimately, it was the vision that Nutanix laid out that was the highlight of the show. The announcements (listed above, and explained below), displayed a great deal of foresight and ingenuity. 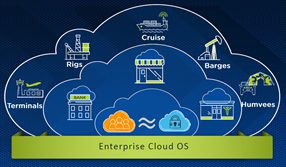 At the core of all the announcements is the idea that Nutanix is delivering an “Enterprise Cloud OS.” This concept essentially means that Nutanix desires to deliver its technology across on-premise, collocated, and public cloud environments, all running Nutanix. Through the Enterprise Cloud OS, applications can be deployed either on-premise (including collocated environments) and public cloud environments. It will allow applications to migrate between environments, essentially delivering a seamless hybrid cloud. The same Enterprise Cloud OS will also be running across different types of datacenter environments – including core datacenters, distributed datacenters (such as a retail hub), and potentially end-points such as oil rigs (see Figure 1). Consistency is the key here to success. The same underlying “cloud OS” running across both on-premise, and public clouds; and across core, distributed and edge environments. To enable this, the result of Nutanix’s acquisition of Calm.io, and its development of Nutanix Xi cloud services on GCP, will enable full application lifecycle management across and between private and public deployments of the Nutanix Enterprise Cloud. This, combined with Nutanix’s built-in support for Kubernetes will enable container applications to be deployed, managed, and scaled in a seamless way across this hybrid cloud environment. The integration of Nutanix Calm and GCP will be available in the first quarter of 2018. This partnership and develop is significant because no longer are public and private clouds disparate entities. They never should be. Applications should ideally be freely moved to the data no matter where the data resides. All this is dependent on Nutanix’s Xi technology running on GCP (see below). For the Nutanix Enterprise Cloud and the Nutanix Enterprise Cloud OS to be successful, it cannot be limited to a small number of OEMs and partners. During .NEXT, Nutanix announced that it has qualified itself on both Cisco UCS B- and C-series blades, and HPE ProLiant servers. In aggregate, Nutanix now has five server partners for x86 (including its own Nutanix NX platform, and its OEM partnership with Dell EMC), and IBM on POWER, as well as being qualified on the three major public cloud environments. What Nutanix is signaling is that it is moving to a software-first consumption model. Neuralytix expects Nutanix to continue its software-first consumption model, in an effort to counter VMware and its VMware HCI software-only model. To Nutanix’s credit, that’s exactly what it did. Calm is a single control plane that allows customers to manage applications between Nutanix and public cloud environments. Calm will be able to migrate to and from GCP with a single click any application workload running on Xi Cloud Services on GCP. Of course, the key here is that GCP will be running Xi Cloud Services, which is essentially a Nutanix environment in the public cloud. Applications that migrate into the GCP can then run against data stored in GCP. Neuralytix expects Nutanix to announce Calm’s compatibility with Amazon Web Services (AWS) and Microsoft Azure in the near future. Nutanix unexpected announced that it was going to stand up its own datacenters, running disaster recovery services. These datacenters would of course be running Nutanix. Xi will be run in US locations in Northern Virginia and the San Francisco Bay Area. They will be operated by Nutanix. In addition to its own datacenters, Xi Cloud Services will also run on GCP. Neuralytix expects that Nutanix will expand its footprint around the world once it has proven its model. Nutanix equates this approach to the way they grew Nutanix software itself – first on its own hardware models (the NX series), then through OEMs (e.g. Dell EMC), and then onto more open platforms. Neuralytix accepts this argument. We believe that many Nutanix customers (particularly smaller customers) who are not able to afford secondary datacenters, and are sensitive to content being hosted on public clouds will find this very palatable. We also believe that starting with a disaster recovery (DR) services is a smart approach as it has low impact on performance, and a high return for the customer. Nutanix’s vision is a strong one. It is obviously very centric to the Nutanix operating environment that they call the Nutanix Enterprise Cloud, and as such does have elements of lock-in. However, given the heterogeneity and disparities between public and private cloud offerings, where there are little standards at play, Nutanix has no choice but to set a standard for the industry. Neuralytix also believes that the app-centric approach taken by Nutanix will be a successful one, because ultimately, both IT and business leaders recognize, it’s not the infrastructure that makes or breaks a business, but the data and what it does with the data. By bringing fluidity and seamlessness across public and private clouds, Nutanix is essentially solving the problem associated with data that is collected and stored in the public cloud, and data that is collected and stored in private clouds. Nutanix’s acquisition of Calm was a smart one, that has led to a tremendous improvement in the scalability, flexibility, and capability of Nutanix’s Prism management software. That said, we believe that others will follow this model quickly, and that the first mover advantage that Nutanix currently enjoys will be short-lived. Luckily for Nutanix, it does not have legacy models or hardware that it has to deal with. In many ways, part of Nutanix meteoric rise to success is its marketing, and blanketing the IT world with the presence and knowledge of Nutanix. 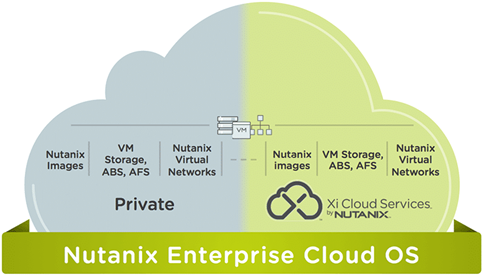 It is taking the same formula, and now applying it to technology, by offering Nutanix Enterprise Cloud OS on as many platforms as possible, and allowing its 6,000 existing customers, and future customers to consume Nutanix in as many different ways as it fits with their business philosophies, regulatory compliance, and budget as possible. In conclusion, Neuralytix believes that Nutanix is setting itself up for success. We are most enamored by Calm, which leads the way in which applications can be deployed, and its lifecycle managed through a single click. We believe that Nutanix has set out a vision that many others will admire and emulate.